So I know you've probably read hundreds of posts like this in the past week, but I love making goals, and a new year is the best time to start something new or try to change for the better. 2014 was a difficult year for me, and although I'm still learning to cope with things and I'm still struggling with anxiety I want to try my hardest to make 2015 the best year I possibly can. For me setting reasonable and achievable goals is the best first step in achieving what I want. I've split my goals into 4 sections; Personal, Uni, Health and Blogging. I love reading, but I don't do it enough, so I've set myself a target of reading 50 books in a year, I have no idea how I'll do with this, but I'm excited to try. I got a kindle for Christmas and I like to read before bed so hopefully I'll be able to keep on track, I'll be making a note of all the books I read on my Goodreads account. I'm a pessimistic realist, I look at things realistically but usually slightly on the pessimistic side. So one of my goals this year is to be look for the positive in every situation, I can very easily see situations as just negative so it's time to start finding the positive even in the worst situations. Helping others makes me feel really great, whether it's volunteering and helping those in need, or just helping a friend in need, or even just making a cup of tea for a stressed housemate. I want to try and do as much as I can to help others, especially if it's only something small that isn't hard for me to do but will mean a lot to the person I'm helping. I spend way too much money on things I don't need, clothes, make up, stationary, bags, even food. I need to think about whether I really need something before I buy it. I want to save up money for expensive things, like holidays, cars and travelling to see friends. I've got the idea and I've done the reading now I just need to write it! I want to use my time well so I can write the best possible dissertation and be really proud of it. There are so many opportunities to do something extra while at uni, wether thats volunteering, joining a society, learning a language, writing for the newspaper, or taking a short course, and I want to make the most of it so this year I'm going to learn something new that's not related to me degree. I'd love to learn the basics of a new language. I put a lot of pressure on myself to do well academically and it has led to me becoming very stressed and has increased my anxiety, this year I want to try and minimise the amount of pressure I put on myself to do well, and just accept that sometimes things don't always go the way you planned. Having been inspired by Rihanna I really want and need to spend this year learning how to cope with my anxiety, and also taking positive steps in recovering and becoming healthier. I loved running over the summer, it made me feel great about myself and I loved seeing myself improve each week, so running is definitely something I want to get back into. I'd love to be able to run a 10k race this year but I don't want to put too much pressure, so I'm going to start with the goal of running regularly again. Dieting doesn't work for me, it makes me feel terrible about myself because I can't stick to it, and it's not a good mindset for me to be in. So this year I want to stop dieting, and just become healthier, both in the way I feel and behaviour in relation to food and also physically be healthier. Meditation always comes up as a great thing to try if you're suffering from anxiety as it forces you to slow down and focus on being mindful. I've given it a go a couple of times but I want it to become a part of my daily routine. I also really want to give yoga a go and see how I find it. I love blogging, and I think my favourite thing about it is the people and community. I've attended a couple of blogger events in 2014 but Im hoping that 2015 will be the year I get to meet lots of bloggers and attend some great events. I love the opportunities that blogging brings and I'm very grateful for them. I've been blogging for under a year and although I've stuck at it and really enjoyed it I've also had some big breaks in posting, and I want to try and make 2015 the year where I consistently post. I also want to be more consistent in joining in blogger twitter chats, commenting on other blogs and promoting my posts. I need to find a system that works as It's either all or nothing and that doesn't work for me. My boyfriend Josh takes a lot of photos for me on this blog as he just has an eye and talent for it. I'm not as creative but I want to try and improve my photography so I can have better photos and take photos myself. Throughout the year I want to be improving my blog, whether thats visually with design and format, or improving my content and the standards of writing. I also want to take advantage of any opportunities and push myself to get better. I also need to look into things like domains, comment systems and becoming a more professional blogger, still keeping this as a hobby but with a bit more purpose to it. This post is going to be there for me throughout the year to remind me what I wanted from 2015, so hopefully I'll be able to stick to some of these and achieve these goals for 2015. 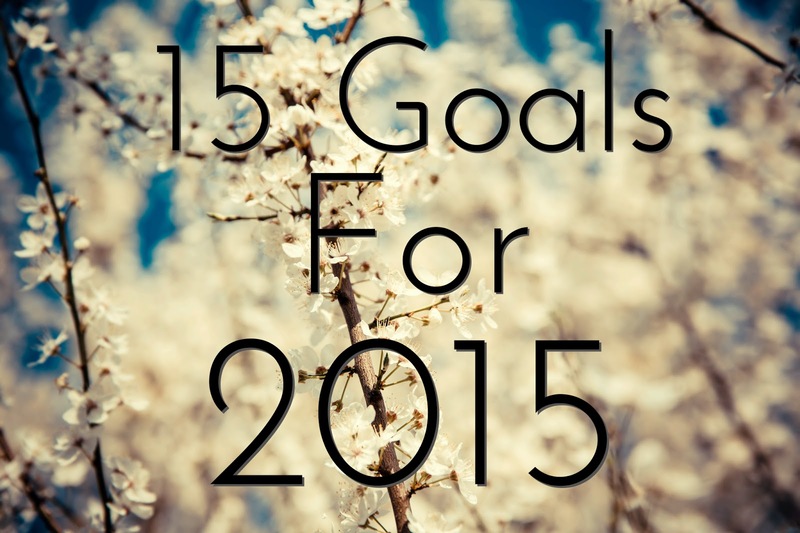 If you've written a goals or resolutions post for 2015 please leave me a link as Im really nosey and love reading them. I am sure you'll achieve your goals Emma! 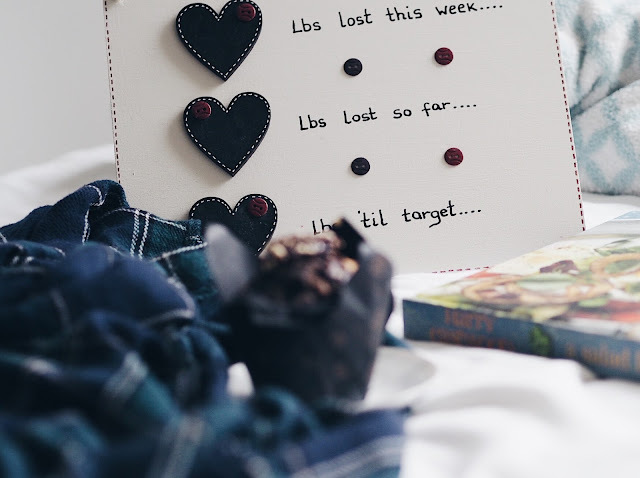 Lovely post, I'm still putting together my year goals, so its's always nice to see other peoples for inspiration! This is great! You've got some great goals. And I'm definitely with you on learning something not related to your career. I know my college has a few creative writing classes which I am interested in taking; even though they don't count towards my degree! Thank you :) I really want to try and learn a new language, I'd only be able to do the basics, but would be good to know and I might as well take advantage of my spare time and resources available at uni. Creative writing sounds interesting, definitely give it a go! You've obviously thought a lot about what you want to do in order to improve upon last year, and I have to agree that writing a set of goals is a great way of doing so. Running in the morning especially - it works absolute wonders. Good luck!